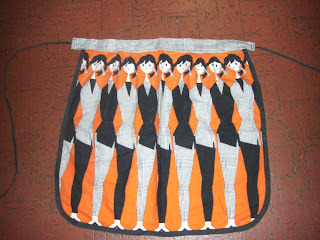 Patra's Embroidered Aprons: Two aprons added to the collection. Two aprons added to the collection. I found these at the newly opened Waverly Antique Bazaar today. I took these photos before I washed and ironed them, so they are a bit creased. 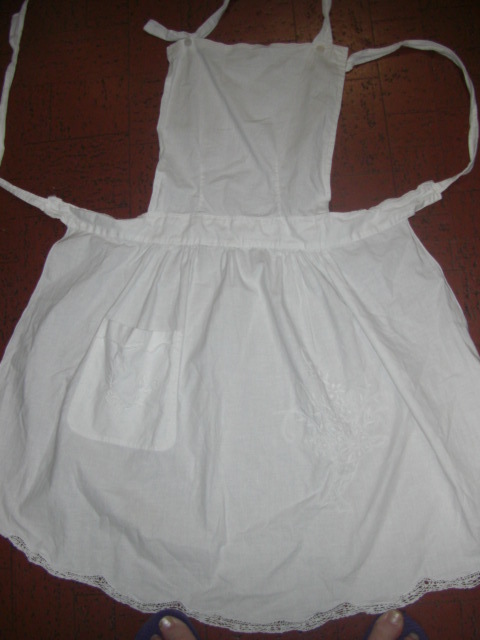 The white one is particularly interesting; I've not seen an apron done in whitework like this before. It is difficult to see on this pic, so I'll try for a better one after I've ironed it. 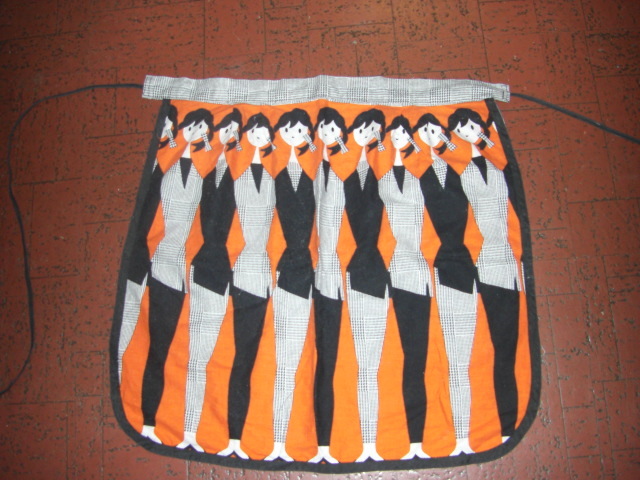 Isn't the orange and black apron a cute design! It made me laugh when I picked it up for a closer look. I'm glad you're still collecting aprons, Gina! I love seeing them! My comments posted twice so I deleted the second set.